The city of Appleton is situated in Wisconsin and is the heart of the Fox River Valley. Appleton attracts many types of visitors, including people who are looking for a quiet getaway at a B&B or sports enthusiasts who want to support the city’s minor league baseball team or take part in a nature adventure at one of the many outdoor spaces such as Appleton Memorial Park. Kids of all ages love visiting Appleton and its many attractions like the Butterfly Gardens of Wisconsin, the Paper Discovery Center, and the Building for Kids. Here are the best things to do in Appleton, Wisconsin. Appleton Memorial Park includes 35 acres of gardens, ponds, trails, green spaces, and many other facilities. 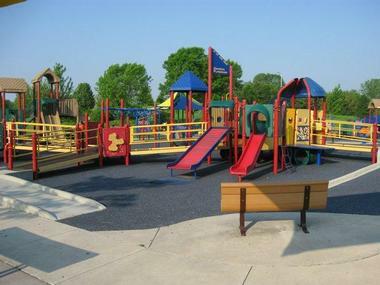 Visitors can spend an entire day there partaking in the many activities; the park has tennis courts, playgrounds, a baseball & softball pitch, basketball court, volleyball court, soccer fields, horseshoes, and a disc golf course. There are also trails for biking and walking and a wading pool area that younger visitors enjoy. During the summer visitors can take part in archery and using the boat ramp, while hockey, ice skating, and sledding are available during the winter. Other amenities include a picnic pavilion with restrooms, parking, tables, grill, a stove, and a fridge. 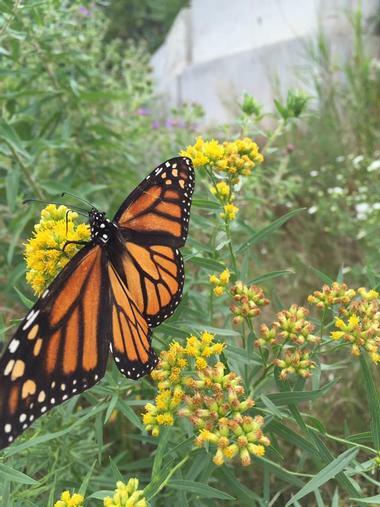 Wisconsin’s largest butterfly house, the Butterfly Gardens of Wisconsin is open to visitors every summer. 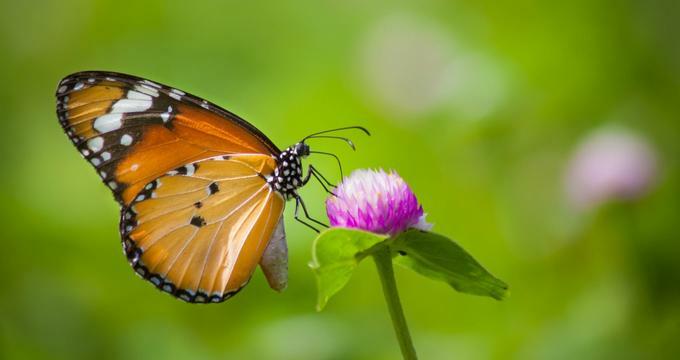 Visitors of all ages can admire the many native butterfly species and see how they are at different phases of the cycle from egg and caterpillar to pupa and adult stage. Outside of the Butterfly House, visitors will come across the Butterfly Bridge and Maze; the bridge offers a stunning view of the surroundings while the two-acre maze lets visitors get up close and personal with deer, mink, turkeys, birds, and many native plants. The gardens have added a honey bee hive attraction that shows how honey bees produce their honey as well as providing an opportunity for visitors to buy the fresh honey. 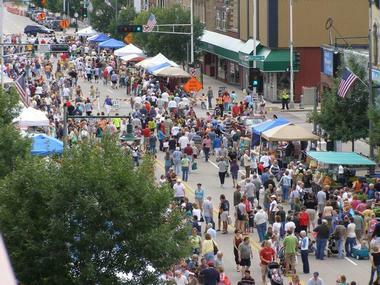 The Downtown Appleton Farmer’s Market has been serving the community for over twenty-five years. Every summer from June to October, locals and visitors flock to College Avenue where they find four blocks of delicious foods, handcrafted goods, and family-friendly live entertainment. Visitors who are looking to take back a little piece of Appleton with them will definitely find something at the vendor stalls. Popular items include locally grown organic fruits and vegetables, cured meats, bread and baked goods, specialty foods, and of course, the delicious cheeses that Wisconsin is known for. There are also numerous vendors selling handcrafted goods such as jewelry and ornaments. 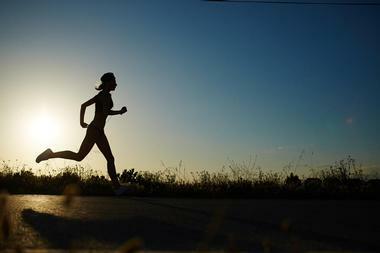 The self-guided Fox Trot Trail is a scenic two-mile loop through Appleton’s riverfront and downtown area. Visitors can begin their adventure by following the fox symbol starting from Houdini Plaza. 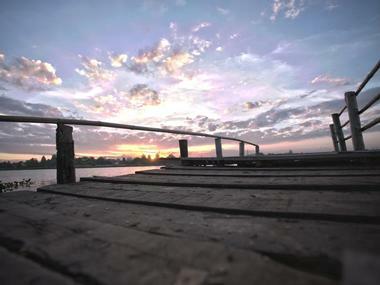 The trail takes you through many of the town’s historic sites and offers stunning views of Fox River. You can download the trail’s brochure before they start so they can read up on the destinations you’ll come across such as the Zuelke Building, the site where Pulitzer Prize winner Edna Ferber interviewed Harry Houdini, the History Museum at the Castle, Lawrence University Main Hall, and the Lawrence Memorial Chapel. 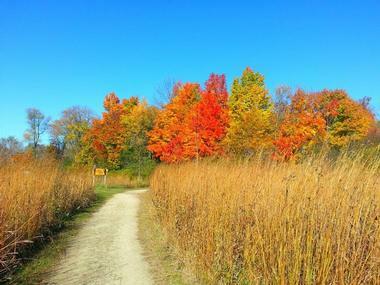 The Gordon Bubolz Nature Preserve has been teaching people about environmental ethics, appreciation of nature, conservation, and overall wellness for over forty-five years. With an array of educational programs and recreational activities, the non-profit organization has managed to make environmental preservation a fun topic for the entire family. 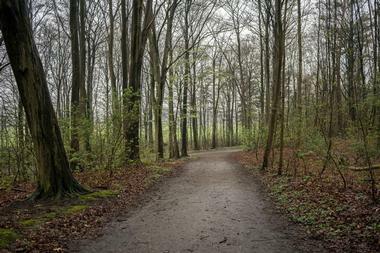 The preserve has over 775 acres, and visitors will be able to walk, hike, or jog through the 8-mile trail system and see various flora and fauna. There are many programs for the entire family; some of the more popular ones include Cross Country Skiing for adults, GPS and Geocaching for grade 4 students and older, and Birds and Beaks, where elementary school students explore the preserve with binoculars to discover an array of birds in their natural habitat. 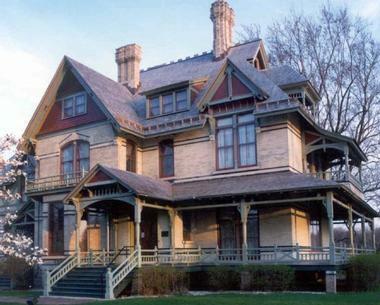 Formerly known as the Henry J. Rogers House, the Hearthstone Historic House Museum is an extraordinary home that has been converted to a museum to preserve the artifacts that have accumulated there over the years. Tours of the museum allow visitors to get up close and personal with the original Thomas Edison light fixtures and the Hydro Adventure Center, which has an operating model of one of the first central hydroelectric stations. The light fixtures were significant in the town’s history as it was one of the first recorded instances of electric light superseding the use of gas for illumination. Visitors will be able to learn all sorts of fun facts after spending a day at the museum. Previously known as the Houdini Historic Center and the Outagamie Museum, the History Museum at the Castle is a local history museum housed in what was once a masonic temple. The building, which was constructed in 1923 and is on the National Register of Historic Places, has some stunning architectural aspects outside as well as indoors. Visitors are free to browse the extensive collection, which mainly focuses on Fox River Valley’s history and has artifacts from the year 1840 onwards. Rooms and exhibitions in the museum have been dedicated to Senator Joe McCarthy, an Appleton resident, John Bradley, one of the six men who raised the flag on Iwo Jima, and Harry Houdini himself, with many of the performer’s personal documents and paraphernalia such as locks and handcuffs. Little Lake Butte des Morts is a great place to spend the day boating on the lake, taking a cool dip, hanging out at the recreational park, or fishing. There are two public boat landings, and the lake is popular with fisherman looking to catch Largemouth Bass, Catfish, Walleye, or Northern Pike. During the winter, the lake becomes a popular site for ice fishing as well. The name, which was given by French settlers, gives the lake a bit of mystique. Butte des Morts translates to “mounds of the dead” and refers to a nearby Native American burial mound. Appleton is the proud home of the Minor League Baseball team the Wisconsin Timber Rattlers, named after the timber rattlesnakes which are indigenous to the area. 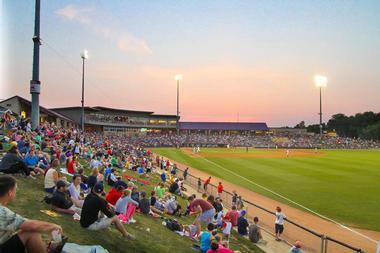 Visitors can explore or catch a game at the Neuroscience Group Field at Fox Cities Stadium where the team plays its home games. Kids will enjoy a day on the ballpark meeting their favorite players, eating delicious stadium foods, and playing and dancing with the team’s mascot, Fang. The stadium is packed with exhibits dedicated to the history of the team, the players, and the many memorable games; former Timber Rattlers alumni who have been inducted into the Baseball Hall of Fame include Pat Gillick, Goose Gossage, and Earl Weaver. Paper is an important industry in Appleton, Wisconsin, and the Paper Discovery Center gives visitors the opportunity to understand papermaking and its role in the community. 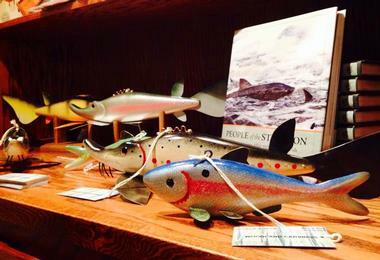 The museum and workshop center offers tours of the exhibits, interpretive displays, hands-on workshops, and a research center for visitors to explore. 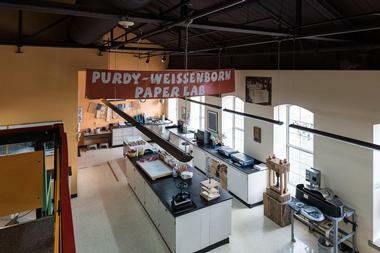 One of the best parts of a visit to the Paper Discovery Center is the Purdy-Weissenborn Paper Lab where you can create your very own sheet of paper, from beginning to end. 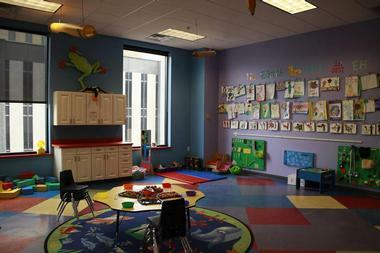 Children will enjoy the many summer camps that the discovery center holds. 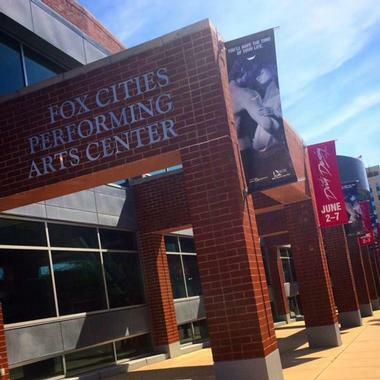 The Fox Cities Performing Arts Center in Appleton, Wisconsin is a gathering place for locals and visitors to better understand and enjoy the arts. Providing more than events to attend, the center also offers educational opportunities for visitors to take part in. One such educational program includes the Boldt Company Beyond the Stage curriculum that connects classrooms to the stage. The center has held many receptions, lectures, banquets, and musical and theatrical presentations since its opening in 2002. Some of their featured events include Cabaret direct from Broadway, the Vienna Boys Choir, the Irish Comedy Tour, and the live-action graphic novel, the Intergalactic Nemesis: Target Earth. The Building for Kids originally housed only the Fox Cities Children’s Museum, but the plan to expand it came to be in 2006. With exhibits designed by kids for kids, the attraction is one of the most visited in Appleton by families with children of all ages. There are so many interactive exhibits for children to explore their imagination while learning about their surroundings in a creative and safe environment. Some of the exhibits more popular with visitors include the 10-foot human heart that lets the kids slide down an artery, a castle-themed mini golf adventure that lets young visitors outsmart a dragon, and the Credit Union’s Littlest Branch, a place where little ones can be a teller, make transactions, and learn about money. 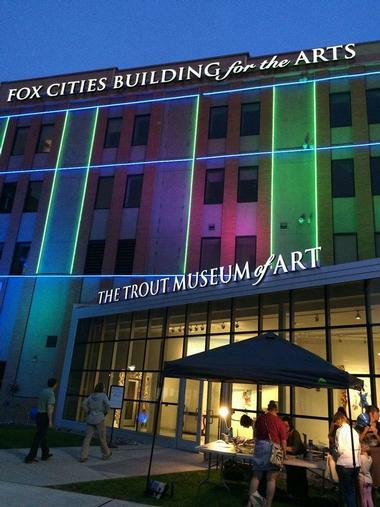 Having been in the works since the 1960s, the Trout Museum of Art was started by the Appleton Artists Guild as a way of compiling a permanent collection, building a viewing gallery, and providing educational opportunities for local artists. The museum now offers this and much more to its visitors, who can explore the exhibitions, attend a special event, take part in a lecture or workshop, or to have fun with their families at the many festivals held at the museum. The exhibitions vary depending on when visitors will be there, but some of the past exhibitions include Celebrating Picasso: Photographs by David Douglas Duncan and The Legacy: A Celebration of Life, a collection of stunning artwork by hospice patients, their loved ones, and the professional caretakers who watch them. Consisting of over 1,000 acres of lands, High Cliff State Park is the only state-owned recreational area that has access to Lake Winnebago. There are numerous trails within the park where visitors can go hiking, biking, and horseback riding in the summer and snowshoeing, snowmobiling, and cross-country skiing in the winter. One of the more popular trails is the limestone-surfaced Indian Mound Trail that is over six miles long. Other activities offered at the park include swimming, fishing, boating, camping, picnicking, and hunting in certain areas. Visitors will also be able to explore the effigy mounds called High Cliff Mounds, which are listed on the National Register of Historic Places.